Alex Willging is an independent blogger and aspiring author, writing reviews and articles on Mr. Rhapsodist. 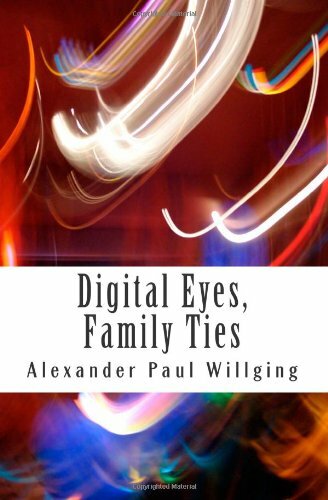 He also has a short story collection called Digital Eyes, Family Ties, now for sale on Amazon. Copyright @ 2019 by Lucasfilm Ltd.
It’s been literal minutes since I watched the first teaser trailer for the long-awaited ninth installment in the Star Wars saga. It’s been quite a ride. I mean, where do I start? How much the title (The Rise of Skywalker) sends chills down my spine? How every shot featuring Rey, Leia, Lando, Finn, Poe, or Kylo Ren makes me giddy? How that final ominous laugh really raises the stakes for this movie? But honestly, watching the film feels both familiar and groundbreaking. That’s a good way to describe this series as a whole. From handing over the torch to J.J. Abrams and Rian Johnson to letting the saga’s biggest heroes face their curtain call as a new generation takes the stage, there’s this sense of possibility and adventure that the films invoke. While other films challenge our sense of the familiar, from Rogue One‘s gritty flavor to Solo‘s indecisive comedy and crime drama, Episodes VII to IX seem to ride on a more persistent vision. It’s the same galaxy, they tell us, but you’re going to visit some new places. You can chase after the things you want, they tell us, but you’ll find something you never expected at the other end. The war might look the same, they tell us, but the moves aren’t always what you thought they’d be. And that’s something that I enjoyed about Force Awakens and Last Jedi. Rey isn’t Luke, Finn isn’t Han, and Kylo Ren isn’t Vader. The First Order looks and acts like the Empire, but it’s nowhere near the strength of the original. Rey’s parentage doesn’t have to be the same path that Luke’s heritage took. Kylo Ren really can stand between the light and dark sides of the Force, making him dangerous to just about everyone who’d see him as an ally. And, yes, the Jedi Knights can come back to life, but doing so means making our ideas about the Force and the Skywalker legacy bigger than ever. Much like how Marvel fans felt after the end of Avengers: Infinity War, we’re stepping into uncharted waters. Things are wildly different now, but they’re also a touch familiar. Some faces changed, some unexpected alliances took place, and the threat has asserted itself in a brutal way that leaves our heroes starting over from Square One. So, yes, I am excited about how this series ends. And I’m excited for Rian Johnson’s separate Star Wars trilogy in the works, and for seeing all kinds of new material from a galaxy far, far away. It’s different, and it’s easy to get lost in the hype or to start assuming the finished product won’t live up to our ideals, but that’s okay. So long as we’re willing to be challenged, to be given a chance for an adventure, good or bad, we can experience it together as moviegoers, as Star Wars fans, and as kids who like making lightsaber sounds whenever we swing a broom around our living rooms. There’s nothing like writing a good story. All that drama playing out on the big screen or on page after page of your novel. All those characters, so colorful and engaging. All the magic and wonder of getting lost in someone else’s world, be it the starship Enterprise, a Carribean beach hotel, the halls of power in Washington, or the ancient palace of Queen Nefertiti. Now, there’s usually one problem a lot of writers face with their stories, and that can be getting started. I’ve been through it myself. And as someone who tried for many years to write a science fiction or fantasy novel, it can be brutal when you realize that you’re spending more time trying to flesh out your setting and less time crafting a good outline for your plot, or mapping character arcs. You hit that moment (or at least I have) when you find yourself with 3 to 4 new tabs open on Wikipedia, all so you can look up Alcubierre drives for starships, negative mass for how to power said drives, Dromaeosaurus for a dinosaur species to inspire your reptilian aliens, and Star Trek for any clue as to how Gene Roddenberry envisioned the warp drive working at all. But then, take a step back. What we have are a lot of ideas with no real story or characters around them. I could write several paragraphs explaining what I’ve learned about faster-than-light travel, but unless you’re looking to learn about the physics of future spaceflight, your eyes might be glazing over at the thought of that jargon. And, to be sure, that’s what old-school “hard” science fiction used to be. Engineers and doctors who wrote in their spare time would write stories for each other, all technically explained and justified by scientists and engineers in dialogue, even as they’re being attacked by aliens or dragged through wormholes. Don’t get me wrong, though. Worldbuilding can be useful. It just has to have a point to the narrative. At the moment, I’ve been rereading J.R.R. Tolkien’s The Lord of the Rings trilogy, and it’s a healthy reminder of how worldbuilding works. Almost too good, since you know every fantasy writer since Tolkien has wanted to show off their Middle-earth to the masses. But where did Tolkien’s world come from? It came from Nordic sagas, Old English poems, Celtic legends, Catholic spirituality, his lifetime’s work in philology, and his native West Midlands countryside. And while Tolkien does spend a lot of time describing the countryside as Frodo and his companions carry the One Ring closer to Mordor, he never gets too lost in his own woods. He introduces songs, legends, words of Elvish, and magical occurrences all in relation to the main plot. Everything has a point, even if it makes for three very dense books of prose and poetry. At the same time, though, you can only build so much of your setting beforehand. I’ve written some of my best stories without knowing what the setting was apart from, say, a small town loosely modeled on my hometown, or perhaps a subway station that reminds me of the London Underground. The scene is set. I don’t really need to do ten thousand hours of research into when the Piccadilly line runs, or when certain buildings in my part of California were erected in relation to the 1994 Northridge earthquake. If I only need a subway or a small town setting for the purpose of staging two people having an argument or falling in love, then that’s all I need. People want to read about the tension between those people and how it’s resolved. Tension matters. And if your setting can add or release that tension, like a couple having a fight in a rainy New York street, or a war-weary soldier stumbling across a mythical rural town that’s been hidden for centuries, then so much the better. It’s the first post of 2019 for me. A good time to look forward, to catch of a glimpse of new vistas, to sing of the body electric of new stories to be written and read and shared and reread. I’ve been thinking a lot about the style of writing. Not just what we say, but how we say it. I’m focused on how we string words together, how we connect this sentence to that corresponding paragraph, and how we cause lines of text, black letters on white backdrops, to become images and full-fledged scenes inside our readers’ heads. We have our motifs, our formulas, our grammar, and our cadence. Some of us prefer to sound like we speak with a Received Pronounciation; others, like a Southern drawl on a muggy August evening; and still others, like voices raised against midday traffic on Fifth Avenue. There’s all sorts to writing that I can’t put down a definitive list. So, instead, I’ll just focus on what I have in my writer’s toolbox. Looking over my own list, I can see a few points worth noting. For example, I write a lot in the language of TV and films, where I use establishing shots and key lighting to cultivate my settings. My scenes tend to center on two or more people engaged in a conversation, be it a love scene, an argument, an investigation, or a nightmare. I use my scene lighting and my dialogue to build up the overall mood of every scene, to evoke something straight out of German Expressionism. And, sure, I did include some content here. Mostly recurring motifs. I write about women, I write about Latinos, I write about Catholic spirituality, and I write with an eye toward social justice. All things near and dear to my heart. I make allusions to Shakespeare and pop culture. I am sarcastic as hell, and so are my characters. I’ve written things that try to be big and adventurous, but really, I’d rather do something small and lighthearted. Overall, I’d say that I write about people discussing things and growing because of their discussions. I write about feelings more than actions. Take a look at any of my stories, from my Digital Eyes, Family Ties anthology to some of my newer works, and you’ll see there’s a lot of depth to what a character might be feeling over how much action they’re accomplishing. You won’t find any James Patterson thrillers or Stephen King horrors in my work. I’ve nothing against those kind of authors, but I’m more the guy whose work you pick up when you’re sleepy and you just want to curl up with something not-so-heavy on a rainy Saturday afternoon. Style matters. Sure, you can give me a book that has more poetry than plot, and I can get bored real quick, but I also think that we can’t just write for the sake of driving a story from start to finish. We need to consider our native languages, our personal tones and phrases that keep popping up in everything we create. Readers, if you’re also a writer, what’s your style like? Have you found yours yet, or are you trying something new this time around? Please feel free to share your experiences in the comments below. It’s the end of the year and, for me, it’s been a very interesting experience. I’ve served as a polling place worker in my local voting precinct, I volunteered with VoteRiders on getting their message out, I’ve made plenty of new friends, and I made some big strides against my long-term depression. So, as 2018 draws to a close, I’d like to offer a spotlight on some of the people I’ve come to follow and appreciate on sites like WordPress, Twitter, and YouTube. In particular, I’d like to talk about the amazing women I’ve come to follow, whose insight into their personal and professional lives always give me something new to appreciate about the world. For the brief, beautiful window of when it existed, I was a huge fan of the website The Toast. It was because of that site that I got to appreciate the work of writers like Danny Mallory Ortberg and Nicole Cliffe. I follow both on Twitter, but Nicole gets special mention here because of her work as the “Care and Feeding” advice columnist on Slate and her great, funny, and insightful commentary on random Reddit threads like r/AITA. She is a voice for human dignity and caring families that we need to hear now. Nicole can be found on Twitter and Slate. It’s not a secret among people who know me that I adore the TV shows Breaking Bad and Better Call Saul. The latter is about the only thing that keeps me coming back to watch cable TV anymore. And that show’s quality is thanks in no small part to the work of staff writers like Gennifer Hutchison. In particular, I enjoy following her on Twitter, where she talks about everything from her show to tips for first-time screenwriters to personal stories and thoughts. Gennifer can be found on Twitter. Her current show, Better Call Saul, can be found on AMC. If you want film criticism from a perspective worth hearing, why try Jourdain Searles? I got into her once I learned she was dating Kyle Kallgren, a longtime favorite video essayist of mine on YouTube. Jourdain offers a healthy new look at movies, culture, and the world outside of the mainstream (i.e., white) lens. Jourdain can be found on Twitter, Contently, and her website. I live in California’s 25th Congressional District, and I’m proud that my current representative-elect is Katie Kill. However, in the June 2018 primary, I voted for another candidate: Jess Phoenix. Jess is a model for the kind of candidates for office we need right now. She’s a trained geologist with an active study of volcanoes, whose work on climate change inspires her to campaign on new energy solutions and other progressive ideals. I’m proud to have voted for her, and I hope that you’ll find inspiration in both her work on volcanology and her political commentary. Jess can be found on Twitter, Facebook, and her website. If you don’t know Shannon Coulter, you might know about her handiwork. She’s a political activist who launched the #GrabYourWallet movement, which listed retailers and boycotted them for carrying or supporting any Trump Organization products. She also created a Web portal that allowed people to split their donations across several tight Democratic races for Congress this year. Her work is amazing, and I think she’s also great for putting a spotlight on other voices we need to hear. Shannon can be found on Twitter, Medium, and the #GrabYourWallet site. Jenny might not sound as familiar to you, but she’s a friend of mine from college (Go LMU Lions!). I’ve always liked her content, whether it’s gushing about fandoms she enjoys or getting real about her life’s milestones. She’s big into cosplay, and she’s also (at the time of this writing) an expectant mother! What’s not to love? Jenny can be found on Twitter, YouTube, Twitch, and her website. Thank you all for reading. Happy Holidays, Happy New Year, and may we all meet again for a positive start in 2019! Conflict is about competing interests or desires. How do you get competing interests between characters? It’s deceptively simple. You simply have to get characters to think that their story is different from everyone else. And then you have it that way. Here’s an example for all you audio drama fans out there. I’m a huge fan of Alice Isn’t Dead (and currently loving the heck out of the novel written by Joseph Fink). This podcast is a great example of two genres competing for dominance. On one side is our narrator, a lone trucker searching the empty highways of America for her missing wife Alice. For her, it’s a romance trying to stay alive in the wilderness. On the other side is the Thistle Man and other walking nightmares, who appear normal from a distance and monstrous up close and feed off poor travelers at rest stops and small towns across the nation. As you can see (or, since it’s a podcast, hear), we’ve got a protagonist who wants romance and an antagonist who wants horror. This clash of needs, simple on paper, creates a powerful 3-season story. Or take a story like Romeo and Juliet. The tragedy lies in the competing needs of the young lovers and their families. Romeo and Juliet want to be in love together, be it in life or in death. Their families want to win their ancient grudge match, which turns every interaction into something akin to a street fight or a political drama. If not for the family feud, there’d be only an awkward teenage romance for our couple. Instead, unable to escape their turmoil (and perhaps making poor decisions because of the extreme war), the two end up dead by play’s end and their families bitterly reconciling after the fact. There’s always more than one story at work. Luke Skywalker thinks he’s on an epic quest to overthrow an empire and honor his Jedi legacy; Darth Vader thinks he’s a broken-hearted warrior restoring order to a galaxy that’s falling apart. Captain Kirk is out to regain his command and reconnect with his former lover and his son on a distant outpost; Khan Noonien Singh mourns his fallen wife and crew, and he seeks revenge on the captain who marooned him. Depending on who wins the story determines the overall genre for the story. Gatsby loses his love interest and dies in a swimming pool, so that makes this a tragedy. Portia gets Antonio and Bassanio out of trouble with the law, so that makes their tale a comedy. It’s a question of clashing ideals, clashing desires, and clashing methods for success. It’s what makes every conflict so real in the great stories. On a final note, I’ve found that this is actually a great way to build loglines as a writer. Loglines are those one-to-two-sentence elevator pitches, ones that usually start with “In a world where…” But in this case, it’s about telling your audience what kind of genres (or competiting interests) they’re in for. When a ghost informs him of his father’s murder, a brooding prince must wrestle with how to avenge his father’s killer—his own uncle and the new king of Denmark. What does this logline tell us about the story? First, that it is a revenge play. Second, that it has supernatural elements (i.e., the father’s ghost). And thirdly, that the antagonist is both Hamlet’s blood relative and a usurper to the throne. Again, remember that Hamlet and Claudius’s desires are from different genres. For Hamlet, this is a revenge plot, but a tragic one because it’s unfolding within his own royal family. For Claudius, this is a political drama in the vein of House of Cards, where he accrued power through lies and murder, and he fears his nephew’s interference in the new regime. So, learn to change things around. Look for antagonists to be more than just cardboard cutouts or walking excuses for the hero to run into trouble. Tell us their story, even if we never see things from their perspective. And then, once you know what the hero’s goal is as well, you’ve defined both your contributing genres, your core conflict, and set up the ground for a (hopefully) great-selling pitch.